Last year's MWC saw the announcement of the Xiaomi Mi 5, but there was no Mi 6 to be seen in Barcelona this time around. Instead, it's been a steady flow of leaks and rumors on the upcoming Xiaomi phone and there's a new one from today to add to that list. A source out of China now states that there will be two different-sized versions of the Mi 6 - a 5.15-inch one like the Mi 5, and a 5.7-inch one for phablet lovers. Both will be equipped with the Snapdragon 835 chipset, which is in line with previous reports. What's curious about this particular report is that the Mi 6 will supposedly use the Sony IMX400 sensor - the same 3-layer stacked CMOS imager Sony announced a month ago. The sensor is featured in the Xperia XZ Premium and XZs and Sony showed off its 960fps high frame rate shooting capabilities in Barcelona - we even have a few videos of our own. Previously, the Mi6 was rumored to employ the IMX386, and that still makes a little more sense - after all, why share you top-end sensor with the competition from day one? 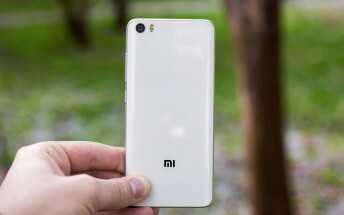 Then again, Xiaomi could be given a 'lite' version of the imager - let's say limited to 480fps. Pure speculation in our end, though, this last sentence. As for the original source, it also claims that the larger Mi 6 (likely the Mi 6 Plus) will come with a dual camera setup, not unlike a certain iPhone 7 Plus. The rumored launch date of the Xiaomi Mi 6 is April 16, so expect even more leaks and guesswork for another month.